Through the OFMDFM Social Investment Fund ‘Work IT’ training and employment Programme, managed by Newry, Mourne and Down District Council, we are offering eligible participants in Newry, Portadown, Lurgan and Coalisland the opportunity to undertake 48 weeks paid work experience in an occupational area of their choice. As well as in work support participants are offered a bespoke training package suited to their needs which may include confidence building, personal development, etc. as well as the opportunity to take part in team building days. Participants will also gain practical experience and improve their core skills by taking part in community projects which will improve their local area and build local community capacity. Aside from the financial benefits of being in work, Work IT participants are showing increased self-confidence, they are goal setting, putting plans in place for when their Work IT participation comes to an end and are keen to up skill and take part in training in the hope of having the edge on other applicants when it comes to applying for jobs. Noeleen, 24, is a great example of someone who has benefited from participation on the Work IT programme. Noeleen was really keen to get a job in retail as she enjoys working with people. An interview with a local retailer in Lurgan was arranged for her and although she was very nervous, with encouragement from her Employment & Training Officer Sarah she did a great interview and was offered the job. Since starting with the retailer in November Noeleen’s confidence has grown immensely. She always has a smile on her face. A secret shopper recently visited the store and Noeleen was the member of staff who assisted them. Noeleen scored 100%. This was such an achievement for Noeleen and it helped her gain more belief in herself and her abilities. Her managers frequently comment on what an asset she is to the organisation. Noeleen was also awarded employee of the month in January. As well as gaining experience in a retail environment Noeleen has completed training in Emergency First Aid, has attended personal development and customer service workshops, as well as team building sessions and is set to begin an NVQ in Retail through the Work IT programme. Contact a member of our Work IT team on the numbers above to find out more! 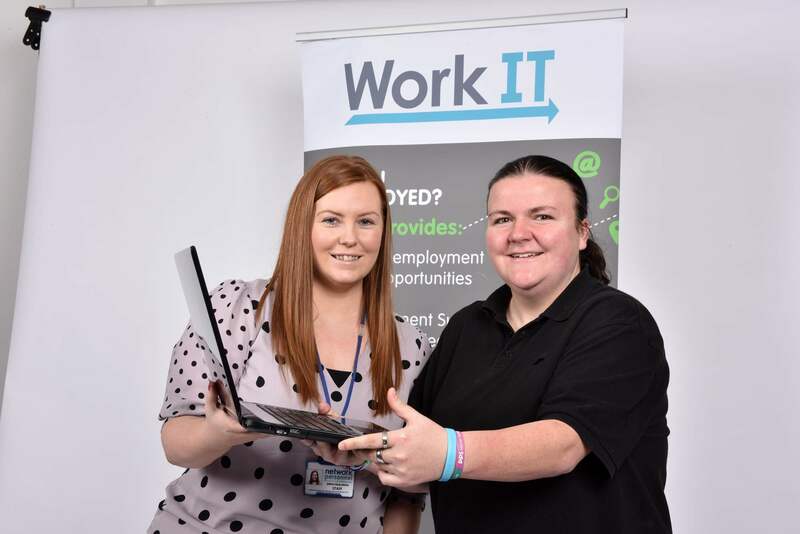 The Work IT Programme is funded by the Social Investment Fund, is delivered by Network Personnel and managed by Newry, Mourne and Down District Council to eligible participants in Newry, Portadown, Lurgan and Coalisland.